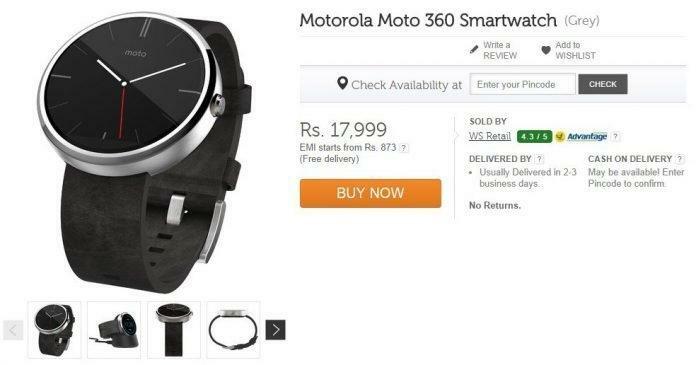 It’s not so long about the news regarding Moto 360 appeared in Flipkart, we have already posted that Moto 360 is spotted in Flipkart with no price details, but it’s official now, you can buy this smartwatch today and in few minutes sale will get start, but you need to hurry up as the stock availability is very limited. Earlier we have seen Moto X 2nd Gen (2014) is on sale with a budget friendly price tag and now this Moto 360 is on sale today, Just think what you can do with these two gadgets ? 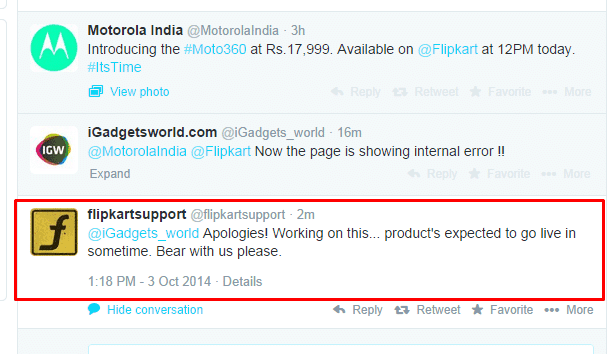 We will try to update the sale issue asap, Flipkart says it’s facing some problem to list the Moto 360, and we have been watching the Flipkart since 3 days, and it’s been down! so we should wait for some time!